The Positive Pathways Programme is part of the £10M Veterans Mental Health and Wellbeing Fund. The Armed Forces Covenant Fund Trust launched a consultation in late 2018 to help shape this programme. 124 individuals and organisations responded; and there is broad support that the programme should support a range of activities. There is particular support for sporting activities and activities where people are outside. When asked to consider if it is better to fund more smaller projects or fewer larger projects respondents preferred that the programme supported more smaller projects. There was limited support for residential activities. Giving veterans a range of choices was a strong emerging theme; along with opportunities for veterans to be active. There was considerable support for themes enabling projects that take part outside; and it was felt that this could have a positive impact on wellbeing. Respondents also felt that projects should achieve good outcomes for veterans. The two characteristics of projects that were felt to be most important was that organisation was experienced in supporting people with mental health needs and that veterans could develop friendships that would last beyond the project, which linked to wider themes about tacking isolation. 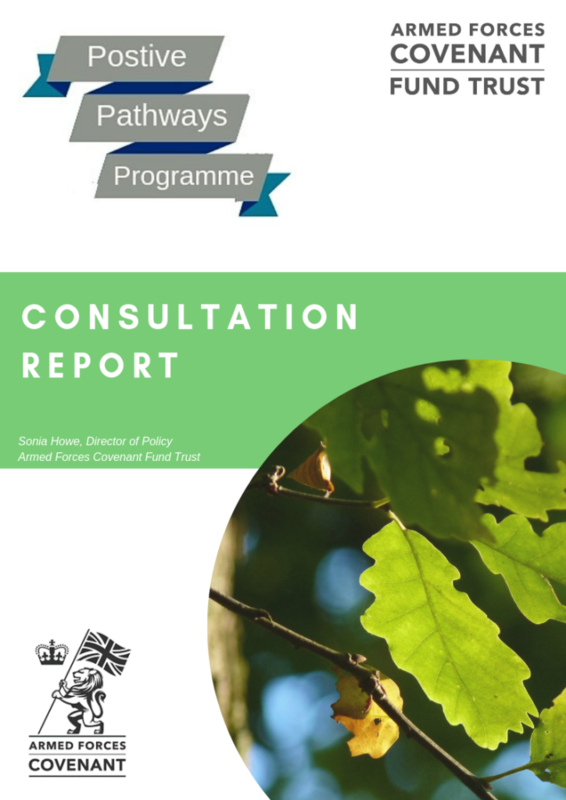 The consultation report is available now; and the consultation findings will influence the programme guidance when the programme opens in May 2019.